Homepage. 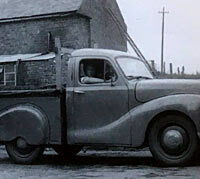 This page: Austin 10cwt (Devon) pickups, with optional rear canvas tilt. 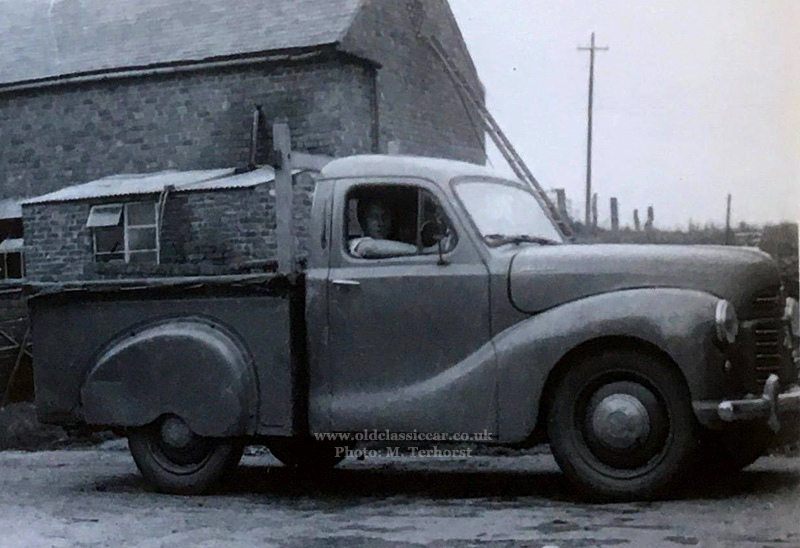 In addition to a pair of A90 Atlantic photos (see here), George also turned up this photo from the same album, showing 'Gypsy Jim' with his A40 pickup. The A40 vans and pickups were produced alongside both the A40 Devon saloon, and later the A40 Somerset saloon, at which time the upgrades beneath the surface that the Somerset introduced, such as all-round hydraulic brakes and a column gearchange, had also found their way into the specification of the A40 commercials. The registration of this Devon-based pickup is KUJ 653, which is rather close to the A90 (link above) which was KUJ 781, coincidence? Both the A90 and this A40 photo were found in the same old album by George. This is the first picture of an A40 pickup that I've seen with a canvas tilt fitted to the rear load bay. Superficially, A40 pickups all tend to look alike, yet throughout their production run, many detail changes were made, both beneath the skin and also to the styling. 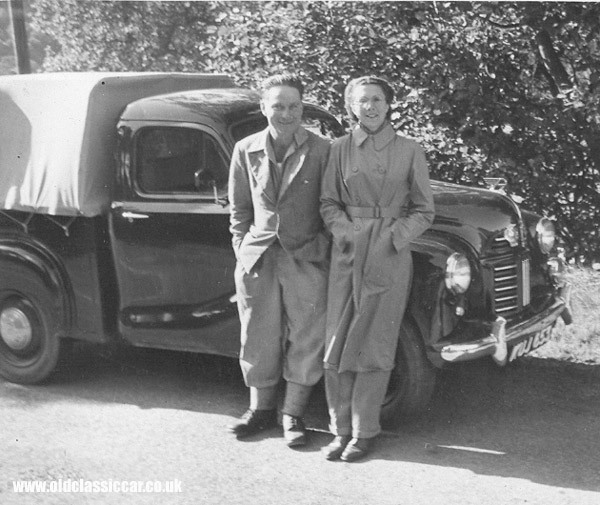 The earliest examples featured full aluminium rear wheel spats that were removable, and a shiny Mazak grille lifted straight from the Devon saloon. This variant also used the saloon's floor-change gear lever. A revised version featured a chunkier, painted, grille, but still with the rear wheel spats (as shown in the photos below). Later, the rear arches would be modified once again, exposing more of the rear wheels and making their removal more straightforward. 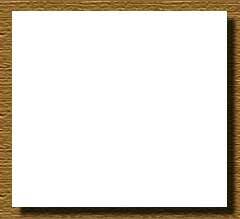 The photo at the head of this page shows this type. 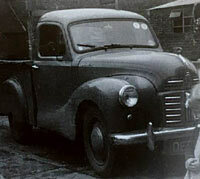 A slightly earlier example of Austin's A40 pickup. 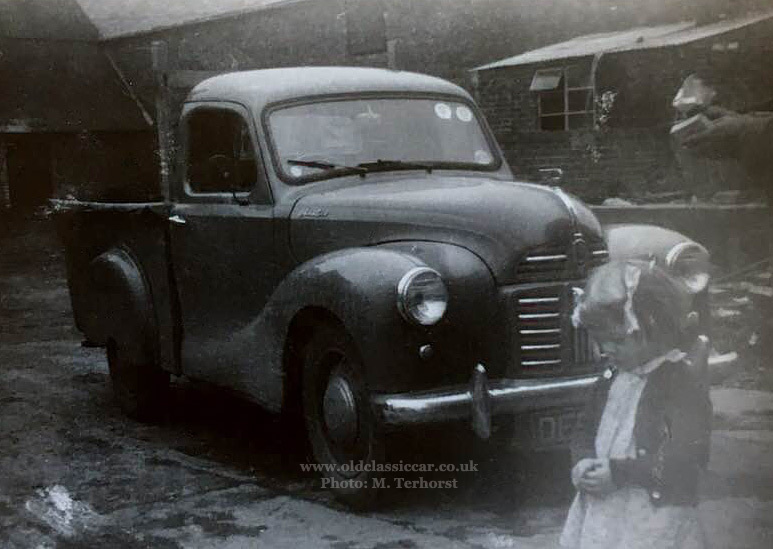 My thanks to Mike for the following two photographs, both featuring his father's A40 pickup in a farmyard. This is a mid-production example, with the full rear wheel spats and painted grille. To my eyes, these are some of the most stylish pickup trucks of the era. Next, a side view of the same vehicle. The rear load bay has a cover over it, and a ladder frame has been installed behind the cab to enable the transportation of tall ladders. Thanks Mike. Return to page one in the image archive.